Amazon’s Alexa voice assistant has become central to the smart home experience. Pretty much every connected device worth buying includes Alexa integration, and that means you need Alexa-enabled smart speakers to use all of these devices to their fullest. 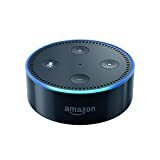 Well guess what: today is definitely the day to fill any gaps you might have in your home where Alexa isn’t accessible, because Amazon is selling 2nd-Generation Echo Dots at an all-time low of just $19.99. This deal is unbeatable for the 2nd-gen model, but if you want even better audio quality you can snag 3rd-generation Echo Dots on Amazon right now for just $4 more each. 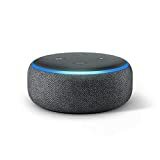 That’s right, brand new just-released Echo Dot with improved sound quality for just $24!